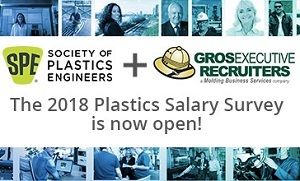 ANTEC®, produced by the SPE (Society of Plastics Engineers), is the largest, most respected and well known technical conference in the plastics industry. It's where classroom theory connects with real world solutions. This year it takes place May 7-10 at the Orange County Convention Center. Plenary speakers have been announced. Click here for more information on the speakers.